It wasn’t just graphics that were evolving, but the way that games started becoming crafted with their own philosophies mandating these designs were evolving as well. Stories were becoming more intricate requiring the player to be more involved in the story. Mechanics requiring better dexterity, different spatial awareness, and higher mental agility. Sound design, changes in perspective, ambiance and tone all crafted to make the game become a more fluid and immersive journey. All of these things helped to create gaming and the community behind it what it is today, with the kids-now-adults that grew up following this progression. The medium has become such a compelling avenue for creativity that passion for gaming has spread to where conventions go on almost every weekend in some part of the globe to celebrate gaming in some form. Art, News Sites, Blogs, Message Boards, Cosplay, Tournaments, Fan Games, Fiction and much more sparking creative embers to fuel more games to be created. A loop of creativity that gaming has fostered. This is the first generation of gamers to not know of gaming without an NES and the vocabulary that the console brings us. The first generation to start creating from paradigms that were instilled and evolved since this era. 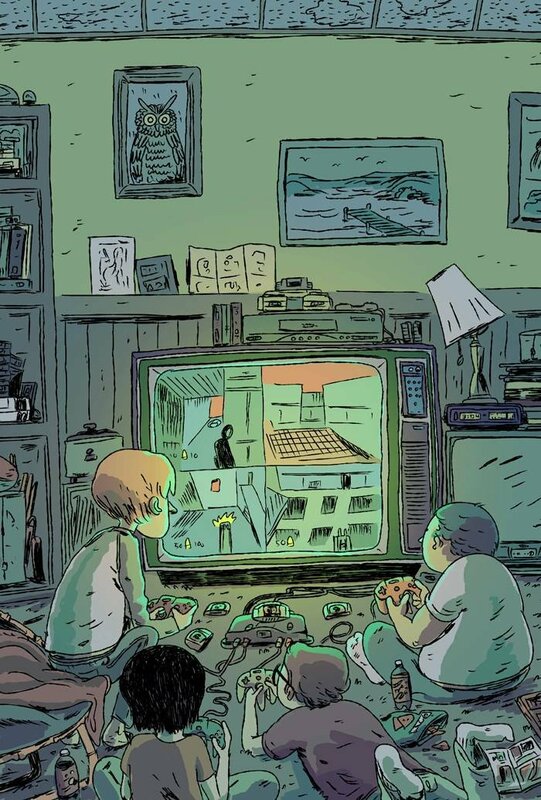 A generation with their shared-imaginations fueled with characters and stories and music, all passionate to create something that brings back a glimpse of their childhood and of gaming’s childhood.